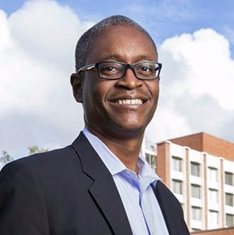 This year, as we mark the 50th anniversary of the Fair Housing Act, Raphael Bostic, President and Chief Executive Officer of the Federal Reserve Bank of Atlanta, will deliver the 18th Annual John T. Dunlop Lecture. Raphael Bostic has been president and chief executive officer of the Federal Reserve Bank of Atlanta since June 2017. This year he also is serving as a voting member of the Federal Open Market Committee, the monetary policymaking body of the Federal Reserve. From 2012 to 2017, he was the Judith and John Bedrosian Chair in Governance and the Public Enterprise at the Sol Price School of Public Policy at the University of Southern California (USC), where he first joined the faculty in 2001. From 2015 to 2016, he also served as interim director of USC’s Lusk Center for Real Estate and from 2016 to 2017 he chaired the center's Governance, Management, and Policy Process department. The founding director of USC’s Casden Real Estate Economics Forecast, his research has spanned many fields, including home ownership, housing finance, neighborhood change, and the role of institutions in shaping policy effectiveness. The John T. Dunlop Lecture honors a distinguished member of the Harvard community in recognizing the contributions of Professor John T. Dunlop. In addition to serving as Chairman of the Economics Department and Dean of the Faculty of Arts and Sciences, Professor Dunlop was United States Secretary of Labor during the Ford administration. Professor Dunlop had a lifetime career in mediation, arbitration and dispute resolution. A commitment to the nation's construction industries and housing also distinguished his work. He served as chairman of the Construction Industry Stabilization Committee and played a role in the establishment of the National Institute for Building Sciences. Dunlop was inducted into the National Housing Hall of Fame by the National Association of Home Builders in 1986. Anyone requiring accessibility accommodations should contact the GSD events office at (617) 496-2414 or events@gsd.harvard.edu. Co-sponsored by the GSD Office of Communications and the Charles Hamilton Houston Institute for Race and Justice. Free and open to the public, though registration is required to attend in person. No registration required to watch the live webcast.